Cinnamon is a spice that finds its place in almost every Goan household as a vital ingredient in many sumptuous Goan dishes. The spice is obtained from the inner bark of the cinnamon tree. There are many tree species that belong to the same genus Cinnamomum. The two main types are Cinnamomum verum and Cinnamomum cassia. Cinnamomum verum (Ceylon cinnamon), also called true cinnamon, has all the health benefits that will be mentioned later. Cinnamomum cassia, mainly referred to as cassia or Chinese cinnamon, is the most common type to be grown commercially because it is less expensive than Ceylon cinnamon. True cinnamon has a lighter brown colour than cassia, which tends to a reddish brown. The texture of Ceylon cinnamon is crumbly because only the thin inner bark is used whereas in cassia it is hard and woody. Ceylon cinnamon can be distinguished from other species because the sticks are made up of many thin layers. It is important to tell Ceylon cinnamon apart from other types, particularly cassia, because of the higher level of coumarin (a blood thinning agent) present in cassia. Cinnamon can help in the management of cholesterol because it increase HDL (good cholesterol) which in turn reduces LDL (bad cholesterol). It can control type 2 diabetes because it increases insulin sensitivity. Its antibacterial and antifungal properties aid in healing wounds and infections faster. Cinnamon helps in removing mucus and thus can be beneficial in the case of common colds and bronchitis. 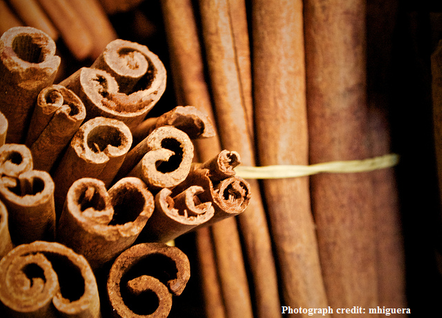 Motor functions in people with Alzheimer’s and Parkinson’s is said to improve with the intake of cinnamon. Its anti-inflammatory property makes it useful in treating headaches and arthritis. Cinnamon promotes blood circulation and can reduce the effects of Raynaud’s syndrome. Heavy periods can be reduced by including cinnamon as a supplement. Remember – 6 grams of true cinnamon per day up to 6 weeks or fewer, is the limit. Then you take a rest week. You can also take this amount five times a week but be sure to have gaps from time to time. Ingredients: 1 kg chicken, 1½ tsp of chilli powder, ½ tsp of pepper, ½ tsp cumin powder, ¼ tsp cinnamon powder, ¼ tsp clove powder, ½ tsp of turmeric, 2 tsp of ginger-garlic paste, 2 tsp of sugar, 3 tbsp of coconut vinegar/ Worcestershire sauce, 3 tbsp of cooking oil and salt to taste. Preparation: Mix the cut pieces of chicken with the chilli powder, pepper, cumin powder, cinnamon powder, clove powder, turmeric, ginger-garlic paste, sugar, coconut vinegar/Worcestershire sauce and salt. Leave the chicken aside for 30 minutes to marinate (you can also leave it in the refrigerator overnight). 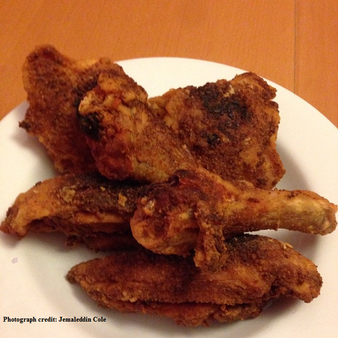 Heat the oil in a frying pan on a high flame and introduce the chicken pieces. Let the chicken fry on high heat for two minutes, then lower the flame and let it cook for 8 minutes with the pan covered. Turn the heat up again and turn the chicken pieces. Again, fry on high flame for 2 minutes, lower the flame to cook for 10 minutes and serve. Ingredients: 2 bunches of methi (fenugreek leaves), 100 gm of moong dal, 3 medium sized onions, 2 green chillies, ½ tsp of garlic paste, ¼ tsp of aamchur (dry mango powder), ½ tsp of red chilli powder, ¼ tsp of turmeric, 2 tbsp of oil and salt to taste. Preparation: Boil the moong dal separately. 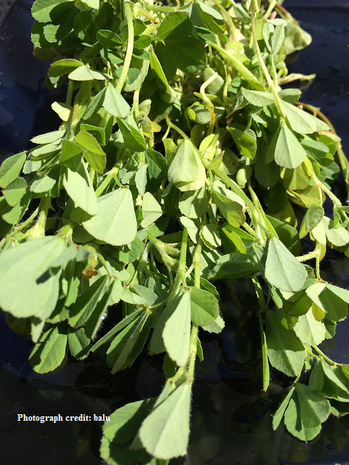 You can remove the methi leaves and chop them roughly, or cut them attached to the tender part of the stalk. Finely dice the onions and sauté them in the oil till slightly brown. Add garlic paste, chilli powder, turmeric powder, and green chillies (with a slit in the centre). Then add the chopped methi leaves and salt, and mix. Add the boiled moong dal and aamchur. Mix well and cook for 25 minutes on a low flame. Add a little water (about ¼ cup) while cooking. Add 5-6 drops of peppermint oil or eucalyptus oil to hot water and inhale the steam. Mix 1½ tsp of pepper powder in a glass of warm water and drink this twice or thrice a day. Crush 1½ tsp of fennel seeds and soak this in hot water for 15 minutes. Drink this fennel water after straining it. Have the drink up to 2 to 3 times a day.